This means if we can’t fix your PC you don’t pay anything, no call out charge, no labour charge, nothing. Can’t afford a brand new PC? Whether your requirements is a Windows PC, an Apple Mac, an iPad, an iPhone, or other smartphone, we can help. 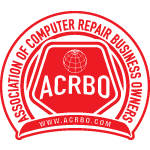 We are a professional Personal Computer repair and maintenance business helping both home and business users get the most out of their technology. Although started in 1999 we have experience that goes back to the early days of PCs in 1978 so you can be assured that over the years we have seen and resolved most of the problems that plague users. You may need assistance with a Windows Computer, an Apple Mac, an iPad, an iPhone, or other smartphone, we can help. We are VAT registered and for your protection also have Professional Indemnity Insurance.